No luck in France. 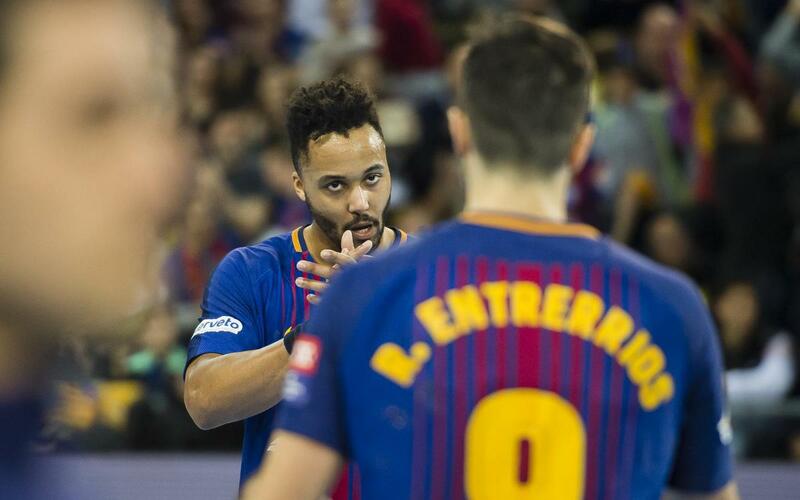 Barça Lassa handball haven’t been able to secure a lead in the first leg of the round of 16 against Montpellier (28-25). They will need to turn this result around at the Palau if they are to make it to the next round. The blaugranes dominated in the opening minutes at the Palais des Sports René Bougnol, but they were unable to maintain that rhythm. N'Guessan was very effective with 5 goals in 12 minutes. They opened up a lead of three points and they maintained this lead with a strong defence and some key saves from Gonzalo. The French team raised their level and they scored five goals to Barça’s one in a period which wiped out the blaugranes’ lead making it 13-13 by half-time. Patrice Canayer’s team were strong in attack and saves from Vincent Gerard didn’t make it easy for Barça as they opened up a three-goal lead (21 -18, min 47). Truchanovicius scored six goals in the second half but Aleix Gómez’s four goals managed to keep Barça in touch. The game ended in defeat but the blaugranas have an opportunity to turn it around at the Palau.